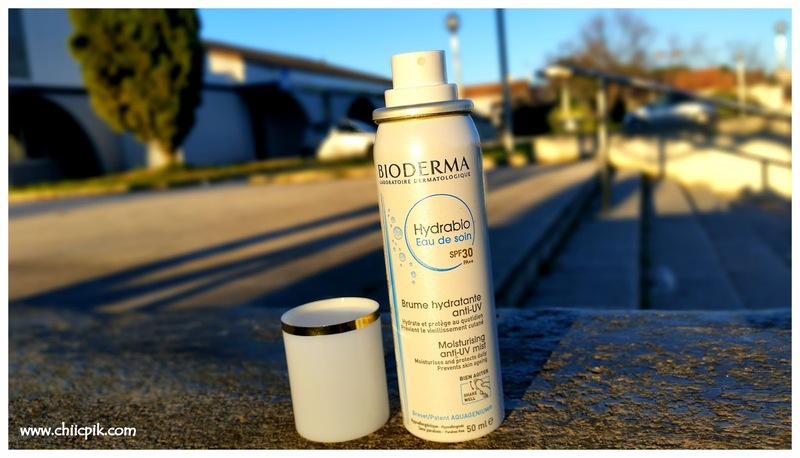 My review on the Bioderma moisturising anti-UV mist SPF 30. 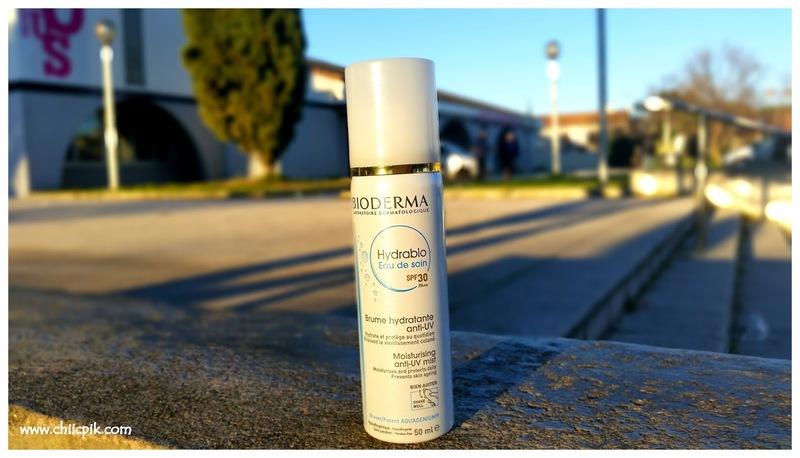 Hello readers today I am reviewing the Bioderma moiturising anti-UV mist SPF 30. This new product was launched last summer and I decided to give it a try a few months ago. The brand explains that this product is the 1st antioxidant UV-protective and moisturising water for sensitive dehydrated skin which is the type of skin type I have. 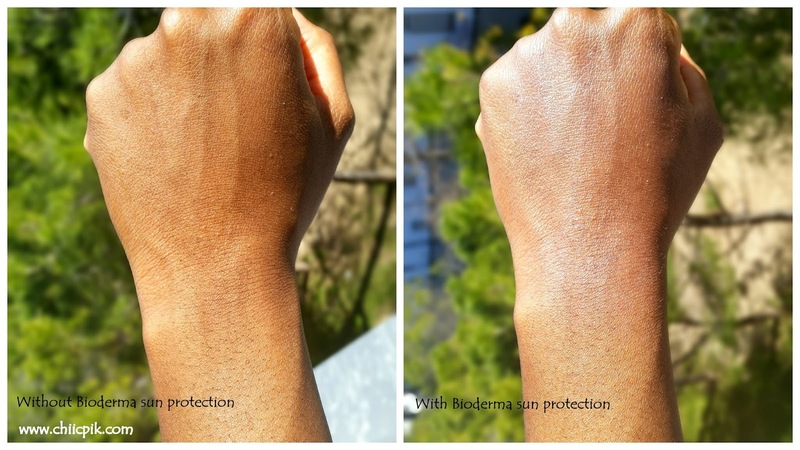 The brand also claims that the Bioderma moiturising anti-UV mist SPF 30 has an invisible texture and does not stain. It is advised by the brand that we should close our eyes, then spray the product all over the face and neck from a distance of 20 cm and leave it to dry without rubbing. It can be used at any time of the day even onto a make-up face and make-up can be reapplied on top of it. I had very high expectations on this product as it seemed so good, but now let's see what I really think about the Bioedrema moisturising anti-UV SPF 30 versus my high expectations. -The texture of this product is very fine and feels good during the application. -The brand does not state clearly if the UV protection is against UVA ,UVB or both. -It smells like a regular sunscreen which is something I avoid as it tends to sting my eyes. 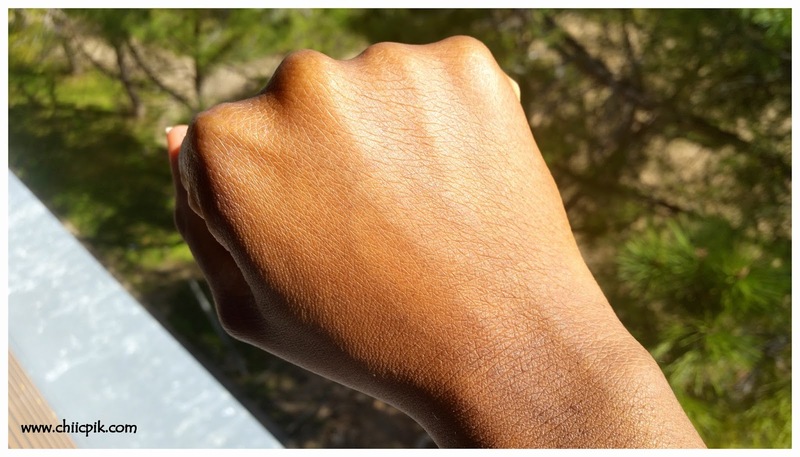 -Unlike what the brand states the texture is not invisible as you can see on the below picture. It leaves some “blue” residue on my dark skin. 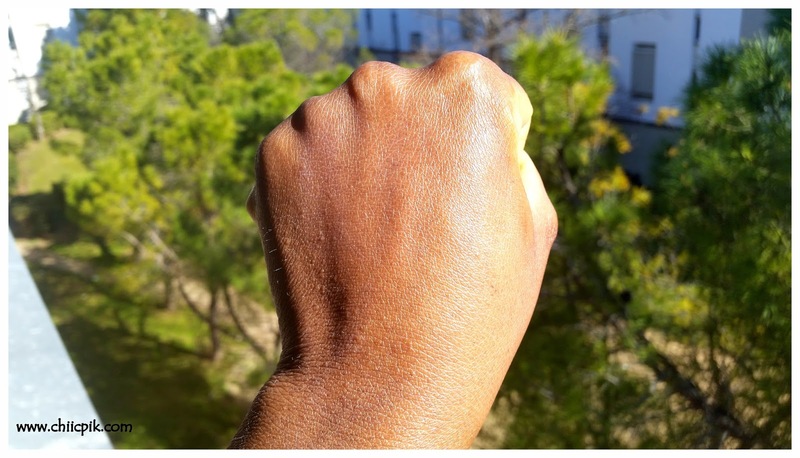 Now if your skin is lighter or white you may not noticed that difference. -When I use sunscreens I always avoid the eye area and even when I do that, after a few hours of wear some residues of sunscreens get into my eyes anyway. Most of them sting my very sensitive eyes badly and the problem with the Bioderma moiturising anti-UV mist SPF 30 is that the spray does not allow avoiding the eye area. As a consequence this product stings my eyes very very badly. Keeping the eyes closed as the brand recommends is not enough to avoid this problem. -You’re not supposed to rub this product after application. The problem is that it is very difficult to get it even on the skin. The second problem is that it sits on the skin for quite some time before drying fully. After application it leaves a sticky and shiny residue which takes some time to disappear. If you have combination to oily skin that is not the best look. -The brand also claims that the Bioderma moiturising anti-UV mist SPF 30 can be applied on top of makeup or makeup can be reapplied on top of it. Because of the sticky texture and shiny residue it leaves on the skin I find it difficult to pair it with makeup. This combination did not work for me. Well, I think you already know my conclusion on this product. When I found out about it I thought it was a great idea and that was exactly what I was looking for. A sun protection to use on the go or on top of makeup. But reality versus expectations is pretty clear. For me there are too many disadvantages with this product. I used it a few times but it is so bad for me for all the reasons I have mentioned above that I just had to stop using it. For that reason I can't tell you if it breaks me out as I was not able to use it long enough. Have you ever tried this product? What do you think about it?